Alberto Iacovoni, architect, is since 1996 founding member of ma0/ emmeazero (www.ma0.it). Between 1999 and 2004 he was a member of Stalker / Osservatorio Nomade (www.osservatorionomade.net). With ma0, architecture firm whose work ranges from interactive and multimedia installations to urban design, he received several awards in national and international competitions, participating in important exhibitions such as, for example, the 10th, 11th and 12th Architecture Biennale in Venice. The work of the office has been published in the most prestigious magazines and publications of architecture. Korean publisher Damdi recently released a monograph, titled Borderlines, on the work of ma0. He has lectured at various universities and institutes, such as INARCH – National Institute of Architecture, Interaction Design Institute Ivrea, NABA in Milan, Cornell in Rome. 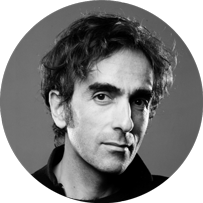 Since 2000 he teaches at IED – Istituto Europeo di Design (www.ied.it) in Rome, where he was Director from 2009 to 2012, and currently is Scientific Director. He is a member of the Osservatorio della Creatività in the Province of Rome since its establishment in 2010. – Alberto Iacovoni, Game Zone. Playgrounds Between Virtual Scenarios and Reality (Birkhauser, 2003). – Alberto Iacovoni and Davide Rapp, Playscape (Libria, 2010). – Alberto Iacovoni and Domenica Fiorini, Il libretto rosa di ma0. Teoria e pratica del realismo utopico (Libria, 2016).